I've been wanting a vz 58 for a while now. Does anybody know of any IP's that may have any for sale. Almost a biography of the last 7 years of my life leaving out the pleading of the wife to move to a state that actually believes in the Constitution. PA and VA are still close enough to commute in! I'm looking into a vz 58 as well. Im pretty sure Duffys stocks them you'd have to ask. At first I thought I had an AK problem but quickly realized I had a mag problem. 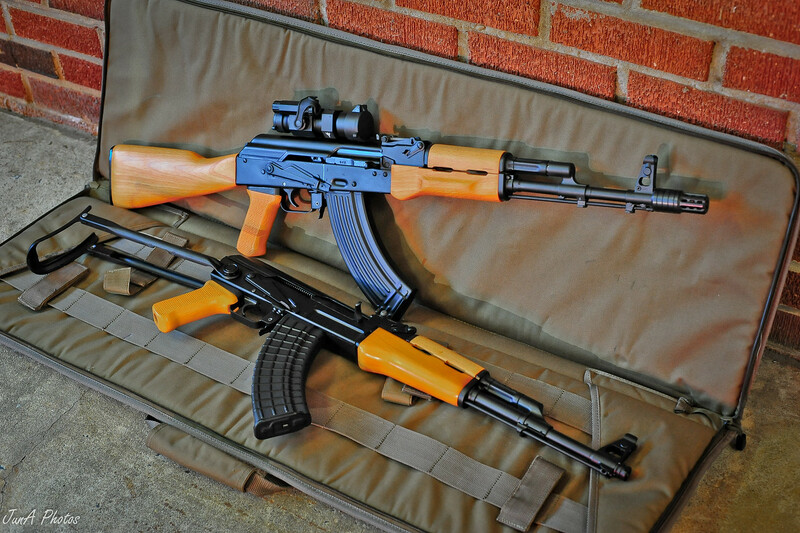 Then I had to buy more AKs because I had so many mags. You gotta have wood, and underfolder, and a poly sidefolder at least. Then I bought more mags. 5.45s were not interesting until my first. Then a 5.56 because why not share ammo with the AR? A stock 104 is nice, but throw on a few aftermarket parts and its an awesome rifle. I think I am going to keep my two Arsenals forever now.